Edwards' Goldhofer ADDrive in ACTION transporting a turbine. 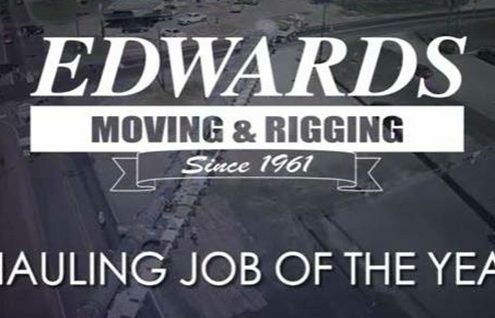 Edwards’ ADDrive in ACTION video! Check out the power of our new Goldhofer ADDrives. Gas Turbine Generator Transport Watch as Edwards rolls off 2 Gas Turbines from barge at a Great Lakes port.